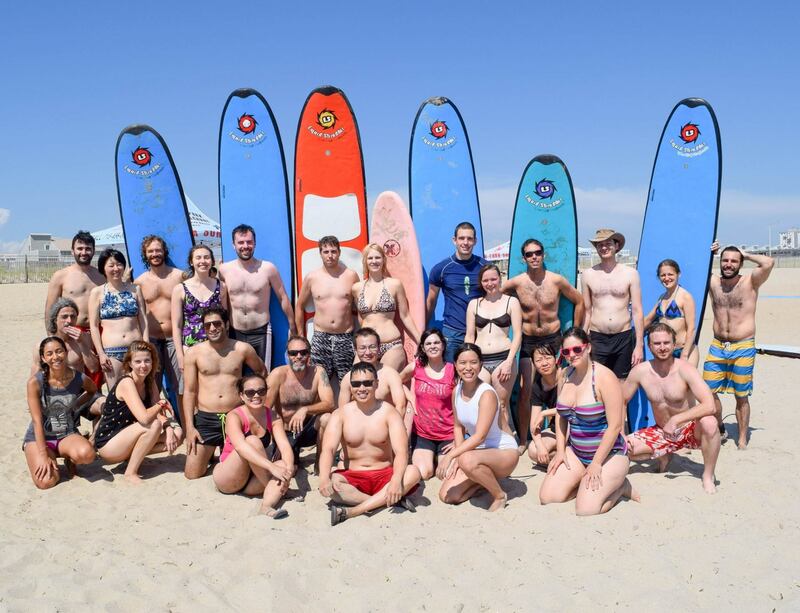 If you're single and looking for a great place to meet other NYC Singles, from Manhattan, Brooklyn and other parts of the metropolitan area who enjoy being part of a healthy, positive, upbeat lifestyle, our Singles Surfing Retreats are the place to be!! Singles Surf Retreats are every Saturday 10am- 2pm. Become part of NYC's BEST place to meet Singles. Great Meetup spot for active and health conscious, upbeat, positive NYC Singles!! 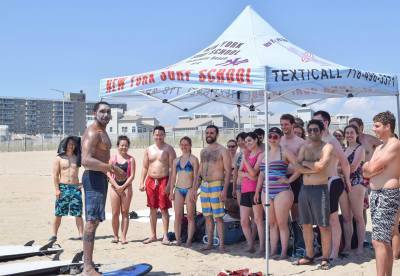 Surfing, of all the activities you could do to meet other New York City Singles, is probably the most fun and social. We have singles in their 20's, 30's and 40's coming every Saturday, having fun and enjoying each others company. Many singles who meet up and surf with us on a warm summer Saturday, are Surfing Couples by Fall! We get texts and emails all the time of new couples letting us know their 1st vacation together is a surf trip!! Or can we recommend a tropical surf destination. If you're looking to expand beyond the bar scene and Internet websites, the beach is the place to be!! Great place to meet other positive, health conscious singles! Every Saturday in the Summer from 10am-2pm. Great way to meet Singles from all over NYC. Surf |Relax | Have Fun! Catholic Singles, Jewish Singles, Christian Singles, Atheist Singles, Agnostic Singles. All Shapes, Sizes, Perspectives of New York City Singles!! As Diverse As NYC!! When Looking for "Singles Events and Activities near me", Look For Us!